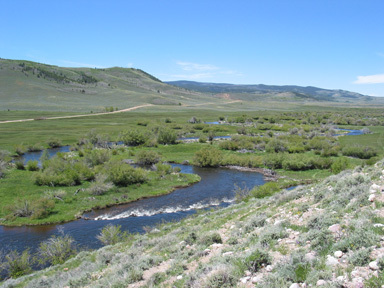 Fishing on the Laramie River is comparable to any of the great flying fishing streams in the west. Mostly brown trout, our fish are wily, tenacious and great fun to try to catch! Fishing is available to a select number of our Fishing Club members and their guests. If you are interested in becoming a member of the Diamond Tail Fishing Club, follow the pull down menu for additional information.